Gin is a controversial spirit, with some insisting on its sophistication, some on its effects as an emotional flashflood. The original “Dutch courage”, gin carries a long history of entrepreneurial brewing and illicit consumption, from 18th century England to prohibition-era Chicago. Today, it still holds a certain connotation of roguish mid-century glamor, but is no longer the drink of the lower classes, but one of maturity and refinement. 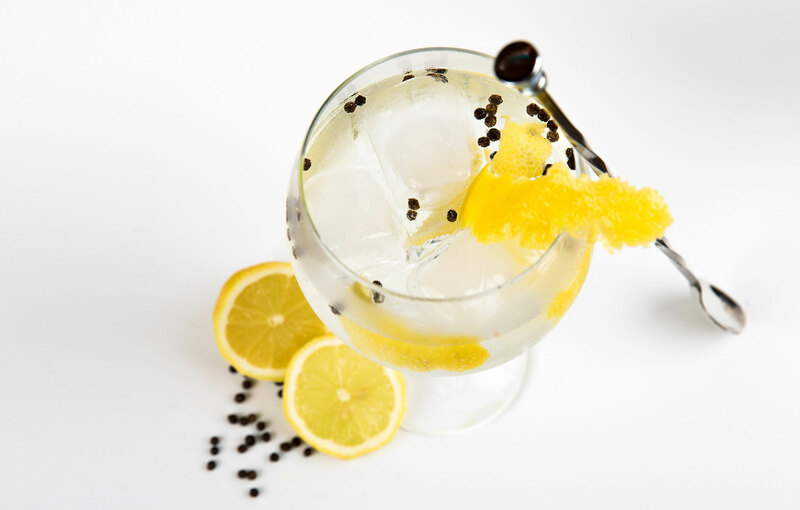 Gin also lends itself beautifully to cocktails, leading to the creation of a dizzying array of beverages. However, the range of gin flavors means it’s crucial to select the right gin for each mix, whether it’s the reigning London dry, the slightly gentler Plymouth, or a slow, sweet Old Tom. Gin cocktails usually find this bright, bitey spirit paired with some combination of berry, vermouth or citrus, especially lemon. Of course, gin is easily paired with a bottle of soda to make an Old-Fashioned or a G and T, but with a couple of extra ingredients, some of the finest cocktails are just a few shakes and pours away. Become a connoisseur with our pick of the best gin cocktails. Chilly, zesty and sweet, the Gimlet has traditional British class. Lime, a dry, botanical-infused gin and simple syrup make for a bright, fresh flavor with a pleasant aftertaste. The famous Rose’s Lime Juice sometimes takes the place of the lime and syrup. 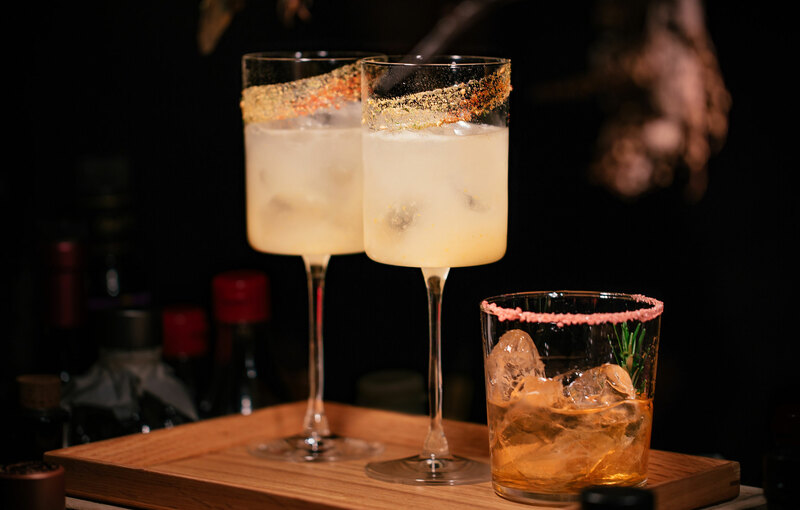 The ratio of each component is hotly contested in the world of mixology, so drinkers may need to experiment to find their personal favorite blend. A wedge of lime or cucumber adds a freshness to the look and taste, with or without ice according to season and preference. Shake well with ice and serve in a cocktail glass, garnished with a slice of lime. The well-known Negroni mixes gin with an Italian flair. The Negroni is a classic crowd-pleaser, but a little dressier than your standard gin and tonic. Red vermouth gives dramatic color and depth, while Campari adds crispness. Plymouth gin works especially well in this cocktail to temper its slight bitterness. Served on the rocks, a Negroni makes a refreshing option in hot weather. Garnish with the sweetness of orange for a striking, mature cocktail with a distinctive look. Stir vermouth, Campari and gin with ice in a cold cocktail shaker until mix is chilled. Strain over ice and garnish with orange zest. Hailing from Southeast Asia, a legitimate Singapore Sling should be well-shaken, with cointreau, lime, cherry liqueur and tropical influences combining for a full, fruity taste. Summery and decadent, this beverage should be served tall, cool and straight-up, and garnished with fresh pineapple and a maraschino cherry. Warning: may induce strong urges to go on holiday. Mix all ingredients in a cocktail shaker with ice. Shake thoroughly. Serve in a highball glass and top off with soda water as needed. Garnish. Another lemon-infused cocktail, the French 75 is a simple, festive aperitif to be served with a length of lemon zest in a stiffly chilled flute. Shaking is non-negotiable, but the gin can be swapped for cognac to turn the French factor up to the max. An Old Tom gin will add a mellow texture if you have a sweet tooth. This little number looks, feels and tastes like pure old-world glamor. Combine gin, lemon juice, and syrup in a cocktail shaker filled with ice. Shake until chilled. Strain mixture into a champagne flute and add champagne. Slowly stir and garnish with a spiral of lemon zest. This quirky cocktail is sweetened with honey and has Prohibition-era origins, giving it a touch of rebellion. Lemon, the MVP of gin cocktails, also makes an appearance. This drink should be served in a classic cocktail glass, and some more adventurous variants may see the addition of orange or even basil. Easy to make and easy to drink, this is a great casual cocktail for the early evening. Combine ingredients in a cocktail shaker filled with ice. Strain into a cocktail glass. Add lemon zest. This one demands dedication. An Aviation cocktail is bound to turn some heads at the bar with its unique violet shade. The distinctive color comes from the unusual addition of Crème de violette, a niche ingredient which you may have to hunt for, or even forego. Many bartenders have developed versions which substitute Creme Yvette or simply increase the amount of maraschino. This rare and delicate drink also includes the ubiquitous addition of lemon. The most stylish version of the Aviation is garnished with a cherry. Combine ingredients in cocktail shaker filled with ice. Shake until lightly chilled. Strain into a cocktail glass. Garnish with a maraschino cherry. For fans of the classic mojito, a South Side is the delicious gin alternative. Lime juice, simple syrup and mint leaves make for a zingy, peppy summer beverage. This one requires a little finesse, as the mint leaves need special treatment to avoid bruising. Enjoy straight up, and usually in a cocktail glass. Garnish with even more mint. Alternatively, if you’re feeling bubbly, add soda water to make a South Side Fizz. For best results, use a Plymouth gin. Combine all ingredients except mint in a shaker with ice, shake vigorously until chilled. Add mint leaves and shake gently. Strain into a cold glass and garnish generously with mint. Really, what is there to say about the inimitable martini? This deceptively simple drink is a pop-culture star and an instant ticket to cool. It’s perhaps the most mature and elegant cocktail, and certainly one of the most enduring, and helped restore gin’s reputation as a versatile spirit, and not just the beverage of speakeasies and degenerates. There’s no skimping on a martini, as the unforgiving mix means only quality spirits should be used. Top-shelf London Dry is the prevailing choice, but excellent results can also be achieved with a Plymouth. Bombay Sapphire is a long-standing hero of the martini because of its cohesive blend of botanicals, but decent quality alternatives with citrus and herb notes will also work a treat. Purists will want to stick to two ingredients, but if you feel like mixing it up, there are plenty of daring ways to drink your martini. Try orange-infused variants, the slightly sweeter Turf Club, or, of course, a smooth and salty dirty martini. Combine vermouth and gin in a chilled cocktail shaker with ice. Shake well until blended and chilled. Strain into a cold martini glass and garnish.